Circle pattern design from our collection of modern wall stickers, a shower sticker that provides privacy while still letting in lots of natural light. 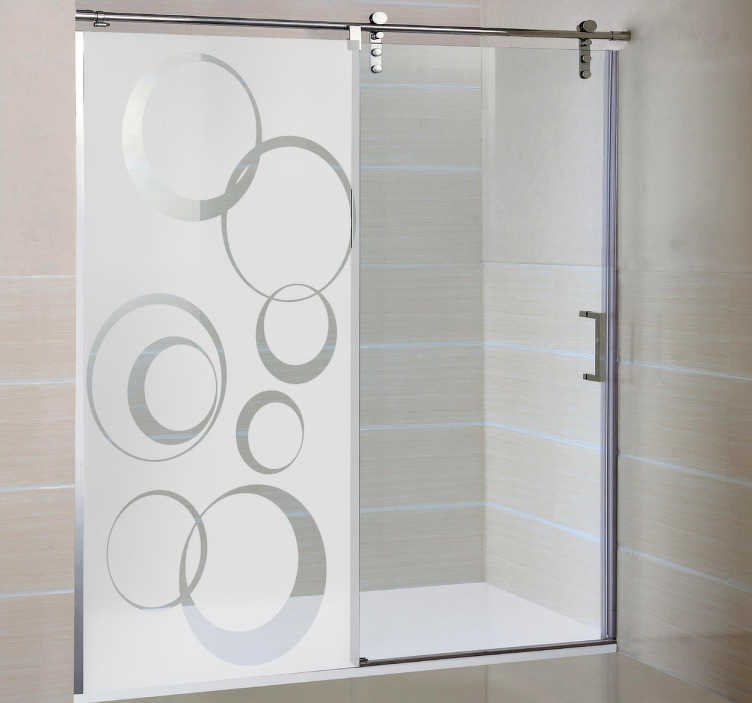 Give your shower a new appearance by applying this brilliant customisable decal on your shower glass doors. Glass frosting effect perfect for those that love to give their bathroom a modern and elegant look! You'll love this design so much you're sure to start singing in the shower! Super easy to apply and remove. Water proof and long lasting Email us at info@tenstickers.com if you require a specific size.